Music is one of my greatest sources of inspiration. My characters always seem to spring to life when music is playing. Perhaps it's magic! So when I create a story, I also create a playlist of the songs that inspired me most and I love getting the opportunity to share it with my readers. Often the lyrics fit with the story or the songs simply evoke the right feelings or images. For A Taste of Death and Honey, I have a folksy, mournful playlist with strong themes of life and death. Those of you who have read the book might understand my choices. And if not, I hope you just enjoy the music! She tell me "This life ain't for you"
CLICK HERE to hear the Taste of Death and Honey playlist on Spotify. You can also enjoy playlists curated for Destruction and Watch Me Burn. 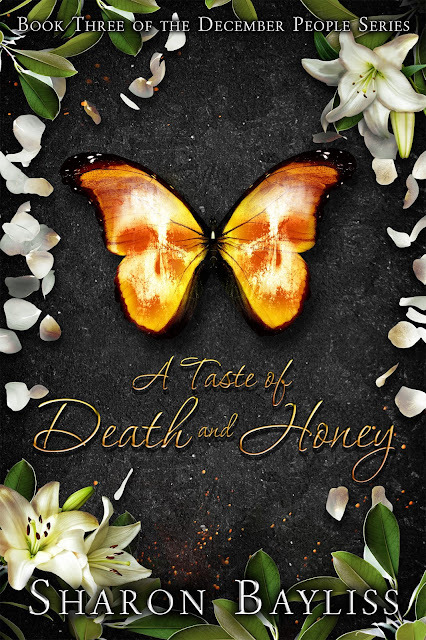 Now that you've listened, try a taste (of death and honey)!